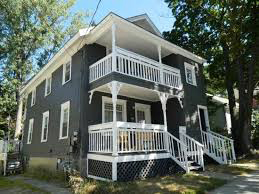 Burlington Property Management, Burlington Property Managers, Burlington, VT Property Management Companies. Five Seasons specializes in managing real estate investment portfolios in Chittenden County VT. Whether you own 1 or 20 properties, we are committed to providing top level service to owners through a wide scope of services. 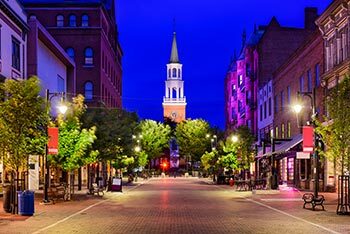 We have been doing business in Burlington VT for years and know the in and outs managing real estate here. Five Seasons Property Management is passionate about providing its residential and commercial clients with professional, end-to-end management services to help maximize profitability, while reducing stress. Partnering with us allows you to become a hands off property owner through innovative management solutions that align our skills with saving you time, money and stress. Five Seasons Property Management is committed to assisting its owners in creating financial wealth, while providing tenants with a clean and safe place they are proud to call home. We offer the best management services available in the market at a competitive price. We work hard managing your property so you do not have to! Experience freedom from being a landlord! Five Seasons Property Management provides innovative property management solutions to fit your needs. Property management is our passion and your investment is our business priority. We strive to provide you with quality renters, professional resources, and information needed to make informed decisions. Our dedication to your investment is truly unparalleled. Our company handles the collection of rent, security deposits and late fees based upon the schedules and dates outlined in owner/tenant agreements and leases. In the event of late payments, collection practices are started promptly. Should eviction be necessary, all steps are taken in a timely, professional and efficient manner to help alleviate the chance of difficult or costly situations. Finding qualified and quality tenants for your properties is a service we take pride in. Reviewing applications, running credit checks and checking references are all the fundamentals included in the screening process. Keeping abreast of all fair housing guidelines, current laws and regulations, we promise owners and tenants a professional and reputable service. Utilizing the most current Internet resources and technology, we assist clients in advertising unit vacancies. Reaching out to specific, target markets also requires the support of our classified ads, yard signage and referrals. Five Seasons Property Management has developed relationships with several reliable, responsible area contractors who are able to address any maintenance needs your property may encounter. Emergency situations do arise and our team is able to offer 24-hour assistance should the need for maintenance occur after normal business hours. Property owners can expect to receive a monthly, detailed report outlining income and expenses. An end-of-the-year comprehensive statement will also be provided for your tax records. Accurate, detailed reports will help you stay on top of your properties and make the best decisions concerning your investments. Our team is qualified to help you determine property values based on current real estate market trends and analysis. Knowledge of local neighborhoods and rental markets help us work with clients to determine appropriate rental fees for properties ranging from single-family homes to condominiums. Burlington is a city in northwestern Vermont, on the eastern shore of Lake Champlain, south of the Canadian border. Downtown, shops and restaurants line pedestrianized Church Street Marketplace. North of downtown, the Ethan Allen Homestead Museum is a former home of the Revolutionary War hero. The vast Shelburne Museum, south of the city, houses American folk and decorative art in a collection of historic buildings.